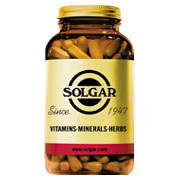 Solgar's Advanced Acidophilus Vegetable Capsules are free of corn, yeast, wheat, soy and dairy products and are formulated without the use of preservatives, artificial flavors or colors. To assure freshness and potency, store at room temperature 15°-30°C (59°-86°F) or refrigerate. Although it is not required, refrigeration helps to further preserve the probiotic microorganisms. Store away from heat, light and moisture. Provides a dietarily insignificant amount of sugar. Ingredients: Advanced Acidophilus Complex (Dextrose Anhydrous, Microcrystalline Cellulose, Potato Starch, Vegetable Magnesium Stearate, Cultures), Vegetable Cellulose. Advanced Acidophilus is shipped in a discrete, unmarked package. Orders are processed immediately and usually take about 3 to 5 working days to be received. We do ask that you try it for 2 to 3 weeks to feel the full effects. Any information received is used only for order processing and shipping purposes. Your information, such as e-mail address, will never be disclosed to a third party.